It’s just a car. How many times have I heard that response from someone attempting to reduce my enthusiasm when talking about automobiles I am excited about? It’s just a car. I just need something to drive me to school and work. It’s just a car, an inanimate object that doesn’t speak, feel or think. It’s just a car. Tell that to some of my spirited co-workers when I (finally) pulled into the parking lot at work behind the wheel of the new Mustang GT 5.0. It’s just a … THAT’S THE NEW MUSTANG! Yeah, it was kinda like that all week, and while I don’t normally get as excited these days as when I was trying to convince mom and dad just why I had to have that car in high school I found myself walking with a bit more “pep in my step” every time I headed out to get behind the wheel of this new Ford pony car. 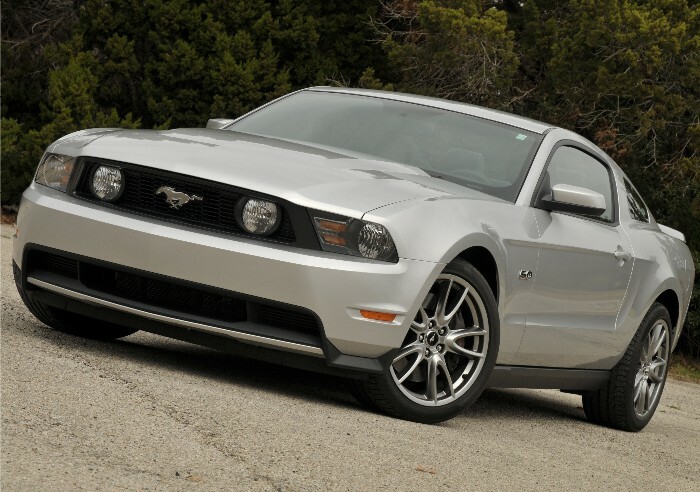 Ford redesigned the latest Mustang a couple of years ago but included the same powertrain lineup at that time. The new chassis rode and drove much better but it was still the same old enchilada when it came to power and acceleration. 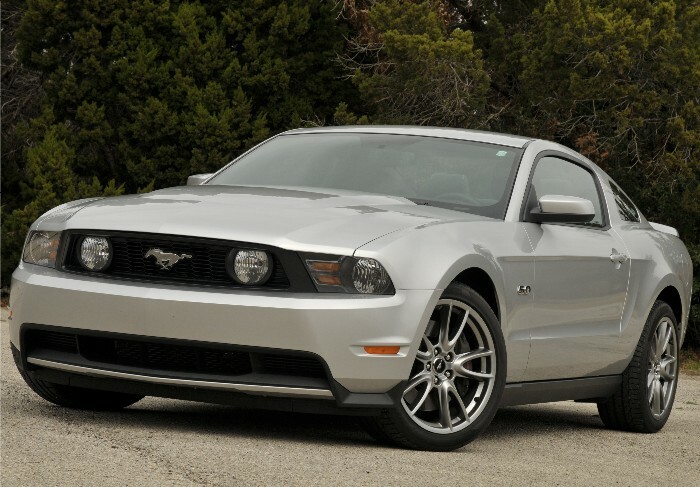 The new engine and transmission lineup places Mustang right back into the iconic status it has held for decades. In 10 to 20 years I see myself sitting around telling the grandkids about the “good old days” when the legend of the Pony was reborn. Mustang can once again hold its own in the benchracing banter as horsepower and torque are up to snuff with the competition (that being Camaro and Challenger). 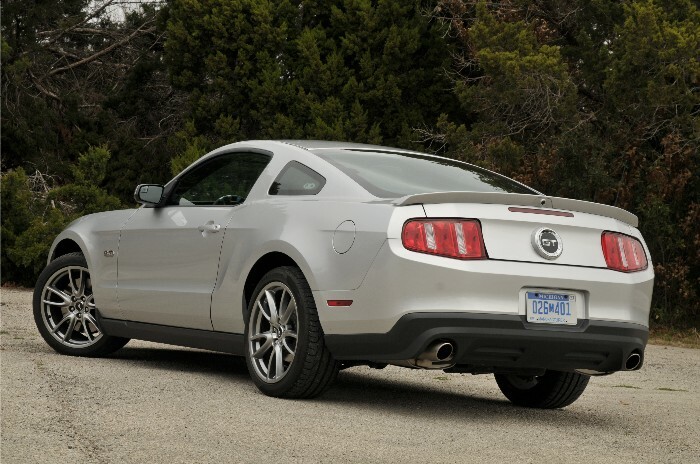 And Mustang owners can rightfully boast of a car that is stylish, sporty, comfortable and convenient – they have a car that has no trade-offs, no “if only they had”s, no buyer remorse. 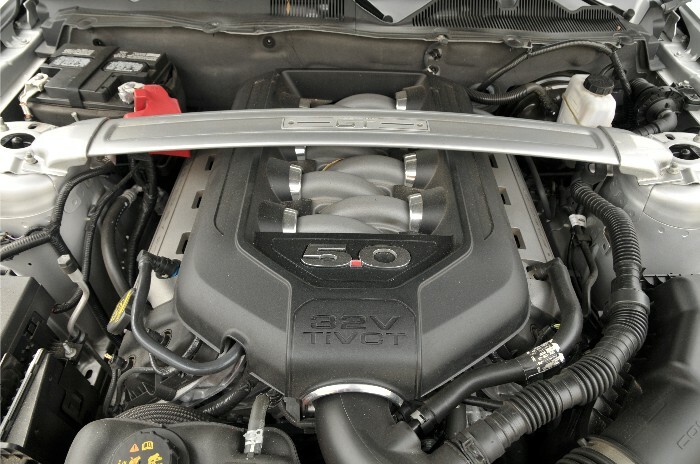 Even as fuel prices creep toward the four-bucks-a-gallon mark they can proudly recite statistics of achieving 26 mpg highway from their 412hp 5.0-liter four-valve V-8 engine. Ford offers a choice of six speed transmissions, one manual and one automatic. Our tester came with the former and we could not have been happier. The clutch was daily-driver liveable and the short throw shifter was sick (that’s slang for something very special for those not familiar with the vernacular). Ford designers and engineers did a wonderful job melding neo-classic Mustang styling with the latest technology and safety equipment. They gave our tester a 3.73 ratio limited-slip rear differential and Brembo brakes along with rear view camera, navigation and even Sirius Satellite services. Sweet. For me, the most fun behind the wheel came from rolling into the powerband above three grand in second and third gears. WOW! Exhilarating to say the least.